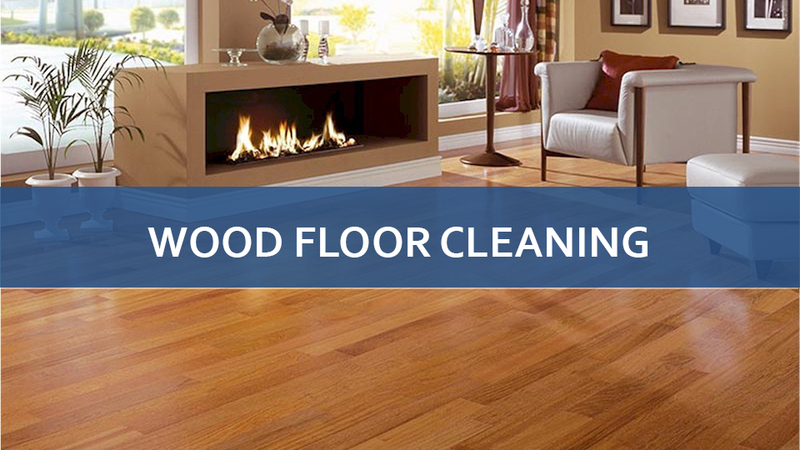 Avoid swelling and deformation of wood floors by ensuring that there is very little moisture left behind by a mop. Also beware of very hot water that can cause the wood to crack and splinter. Fight stains and serious marks on varnished engineered wood flooring by adding a touch of ammonia to the soil wash. Sweep the sand and small stones immediately to avoid any damage. Remove scratches on a wood floor with a little shoe polish and very fine steel wool. Mop your wood floors with black tea to add a dull shine and an attractive color. Avoid waxing your floors too often. The trick is to add, from time to time, 60 milliliters (four tablespoons) of furniture wax and 250 milliliters (one cup) of white vinegar to the water of your mop. 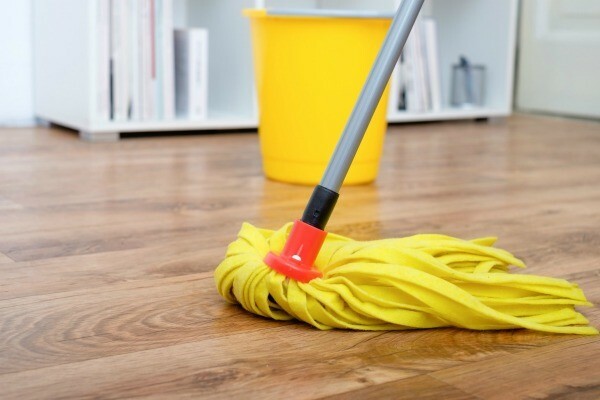 Rub the oily wood floors with a hot soda solution made from 45 milliliters (three tablespoons) of baking soda per liter (a pint) of warm water, then mop it with tap water to rinse. Repeat until solution is blotted and floors are clean. You may need to refinish with a thin layer of linseed oil. Gently scrape the dirt encrusted with a knife in the direction of the grain of the wood. Then lightly rub the surface with a little turpentine, wash and polish with a soft cloth. 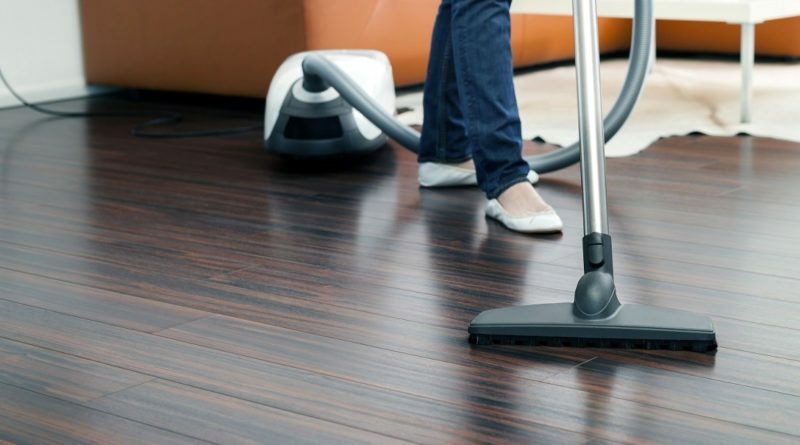 Sweep and mop laminate floors; too much moisture will swell the material. Mop and dry the floors in varnished cork. Apply wax sparingly twice a year and polish occasionally until they shine. You must not dry vinyl-coated cork floors. Clean slate and stone floors with clean water and household detergent. But beware: too much detergent can affect the color! After cleaning and drying, apply a little lemon oil to make sure your floor is shiny. Remove any excess oil with a dry cloth. You can better protect a stone floor by applying a protective coating for cement and wax. Wash the polished limestone floors with a low-pH all-purpose cleaner to prevent the floor from tarnishing. In addition, look for a cleaner with as little detergent as possible (10 to 20 percent) and no more than four percent phosphate, which is highly non-degradable. Do not use vinegar for cleaning or washing natural stone floors such as marble, travertine, and others. These can dissolve when exposed to acid cleaners. Clean linoleum floors with water from boiled potatoes. Remove scratches and dirt from polyurethane or oil-based (glossy or semi-gloss) baseboards with a sponge and all-purpose degreasing dish soap, then wipe clean with a cloth soaked in tap water. You can also use a household spray cleaner, but remember to spray the cleaner on a clean cloth, not on baseboards, to avoid placing it on the floor and scratching it. If you encounter stubborn stains, test a discreet corner with scouring powder and an all-purpose plastic scouring pad. If the test is not damaged, apply the method to the entire plinth.